Looking for a fun time? These sets work with LEGO or megablok building blocks (these are not name brand). 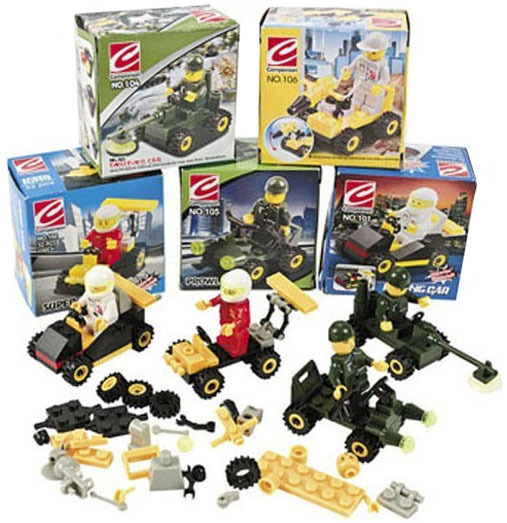 Plastic Vehicle Building Block Kits. Assorted styles. Each box contains 31 - 35 pcs. Box, 2 3/4" x 2 3/4". Sizes vary. Simple assembly required.